This week I head off on a trip I couldn’t have imagined a few years ago. Most readers know I play on a stupendous violin that sort of dropped out of the sky awhile back. In a few days it’ll be in its old neighborhood to play some concerts in honor of it’s namesake. 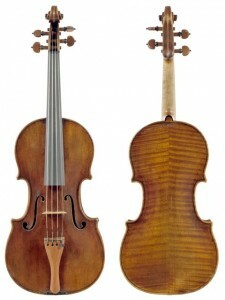 A brief recap: in 2008 I began to play on the extraordinary “Lipinski” Stradivarius, from 1715. It’s an authentic Red Violin story, and you can read about it here and here. A few months ago I received a slightly fuzzy inquiry regarding a trip to Poland to celebrate the 150th anniversary of Karol Lipinski, a major cultural figure in 19th century Europe but largely forgotten now. His friends and colleagues included Paganini, Liszt (with whom he performed the “Kreutzer” Sonata), Mendelssohn, and Schumann (who dedicated Carnaval to him). The details have somehow been ironed out, so off I go for some concerts and master classes, including some at the Lipinski Conservatory in Wroclaw (formerly Breslau). It’s been an enormous and humbling privilege to regularly play on “his” violin (earlier owned by Giuseppe Tartini), and I’m very much looking forward to it’s visit “home” after all these decades. Hopefully some pics and video to come, so stay tuned.